While You Focus On What You Do Best! We Focus On Your Backend Business While You Focus On What You Do Best! 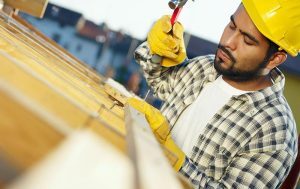 TPM’s Pay-As-You-Go Program offers a turn-key solution to the traditional management of Georgia Worker’s Compensation Insurance. The Pay-As-You-Go Program works just the way taxes are handled — calculating Worker’s Compensation and Liability Insurance based on the actual payroll. These elements are then bundled into your existing payroll at a significant savings. TPM processes and distributes accurate paychecks to your work-site on time, and even offers direct deposit of paychecks. Outsourcing your payroll to TPM is one of the many benefits of our working relationship. Find out how TPM can help your business grow. TPM’s Pay-As-You-Go Program is ideal for your “Hard To Place” clients. TPM features extensive training, plug and play forms and presentation materials to assist you in offering our services to your clients. 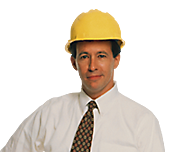 We can turn your Georgia Worker’s Compensation and Liability Insurance clients into a productive book of business for you. TPM works on a win/win philosophy with all of our clients and partners. The advantage of outsourcing payroll and Georgia Worker’s Compensation claims responsibilities has afforded many businesses more time and energy to focus on what matters most in the business world: success and making a profit. You never have to worry about paying penalties or interest due to a payroll or tax filing error. Our service is convenient, flexible—and above all, accurate. We guarantee it! As an employer, you can operate from a powerful place of leverage from our program’s pool of resources when it comes to insurance rates and accounting services. We can offer our PEO advantage to release you from the burden of processing payroll paperwork and putting together insurance packages. By allowing our PEO experts to handle employee needs, your company will attract and retain better employees and enhance the success of your business. Running a profitable business takes time and energy. TPM brings you the cutting edge resources that remove administrative burdens from your plate, allowing you to recover your time, energy and ambition to develop new products, new services, and most importantly, new business opportunities. In addition, we specialize in Georgia and can assist you in navigating the ins and outs of regulatory requirements for payroll, employees needs, and health insurance ACA compliance. The requirements for having workers’ compensation for your small business in most states depend on the type of business you operate. In general, if you have employees, they must be covered by worker’s compensation in order to avoid fines or the shutting down of your business. This also defers the risk of your business being liable for injuries by assigning that risk to a worker’s comp program. Employees are one of the most under-rated areas of liability for most companies. Employment errors can be very expensive to a business. With so many employment laws, including COBRA, ADA, INS, EEOC, OSHA and others, even the smallest mistake can be legally significant and very expensive. In fact, the small details can become a company’s biggest problems.